You have finally found the home you were looking for and everyone is excited and looking forward to making the move. Now is the time to remember that this isn't just a home you are buying, it's an investment. It's likely one of the largest investments you'll ever make. The last thing you want is to have problems arise that could cost thousands of dollars. Naturally you will want to have your investment inspected by a Certified Professional Home Inspector. Houses are like people - none of them are perfect, but there are those that we just can't help but fall in love with. Let us be your objective, professionally trained eyes. Whether it's an older home or new construction, we see things that don't appear to be problems to most people but can be, or become, very costly issues. We want you to be a part of the inspection process. You are welcome, even encouraged, to accompany us on the inspection. We appreciate the opportunity to answer your questions, explain our findings, and familiarize you with your new home. You will receive a comprehensive, custom report complete with photos, videos, and a checklist of the inspected items. The report will also include specific comments and pictures of areas of concern that may need to be addressed organized into three easy to understand summaries. A home inspection conducted by a Certified Professional Inspector can help protect you from incurring the unexpected cost of a major a repair. You will have "the peace of mind" of knowing a problem in advance or have the opportunity to have the seller address the issue before the purchase is complete. Our goal is to deliver quality, service, and value to all of our clients.We have the tools, certifications, insurance, and training to provide you with the information you need to make an informed decision about the home you want to purchase. The fact is, we love what we do. We truly enjoy sharing our knowledge and expertise to help our friends and neighbors! If you attend the inspection and for any reason you are not satisfied with the quality of the service, tell us before receiving your report and we will make it right, or you don't pay the home inspection fee. Our inspectors completed the requirements to display the InterNACHI Certified Professional Inspector badge. 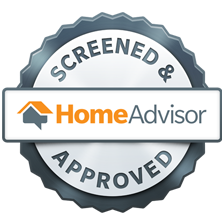 HomeAdvisor has performed a Financial and Background check on Inspection Smith and their inspectors. InspectionSmith is a top notch home inspection service.They are knowledgeable and did a great job of explaining all their findings. The report was detailed and helped us make an informed decision about buying our home. To top it all off, they're friendly guys! There is absolutely no need to continue searching for an inspector. InspectionSmith will do a great job for you! Very thorough!They have great knowledge of industry and excellent tips for problems that may occur in the future. They responded instantly to our calls and answers all our questions. They will go the extra mile to make sure you are satisfied. That quality is very hard to find these days. I don't give out perfect scores but without a doubt, on a scale of one to ten, InspectionSmith deserves an 11. InspectionSmith was wonderful.They gave us a great rate on a great home inspection. We're first time home buyers and they really went out of their way to explain everything to us. We're very glad we chose InspectionSmith! To purchase RecallCheck for an additional property, click on the link below! Lafayette & the Acadiana Area, Lake Charles, Alexandria, Monroe, West Monroe & Ruston. Copyright © 2019 InspectionSmith, all rights reserved.